Not too long ago, I wrote about one of my favorite decks, my (nearly) all foil Azami, Lady of Scrolls Commander deck. The story I didn't share there was the difficulty I had finding two key foils—Laboratory Maniac and, somewhat ironically, Foil. Laboratory Maniac I ended up finding in a pile of old Innistrad cards I had forgotten existed, but Foil was printed during the multi-year period where I took my one and only break from Magic, and it had not ever been reprinted in foil. 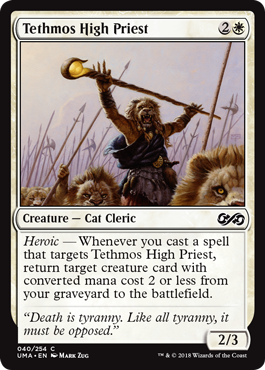 Uncommon foils from Prophecy just weren't all that, well, common. 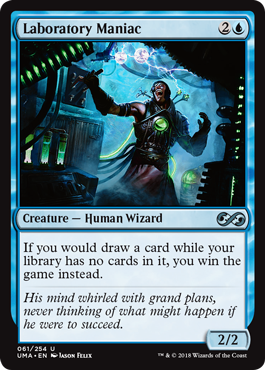 I did, eventually, find one, but that job would have been much easier if, say, it had been printed as a common in a Masters set. Like, say, Ultimate Masters. 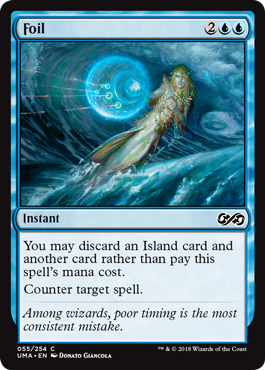 That's right, foil Foil lovers and Pauper players, Foil is back, and it's common. 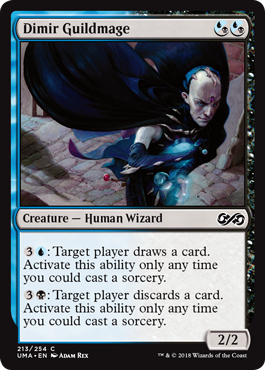 In fact, Ultimate Masters is just lousy with cards downshifted for people like me. In fact, for people exactly like me. Yup, that's an uncommon. But why stop there? 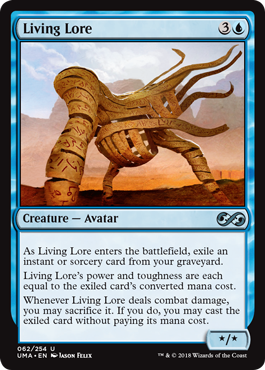 Living Lore lacked the love of players, but maybe they'll understand it as an uncommon? 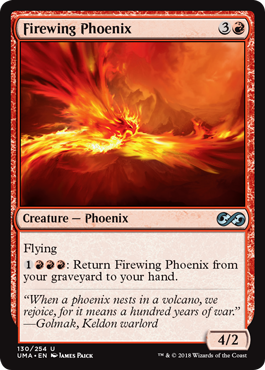 Firewing Phoenix and Magmaw both served their purposes in Limited, but when the set is juiced up, some Limited rare bombs can stand to become Limited uncommon bombs. 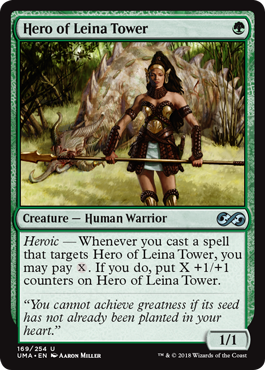 Similarly, Hero of Leina Tower was a payoff card for heroic decks back in Theros block, but can you imagine getting more than one of these? I'll do you one better, can you imagine having more than one of these and then casting Travel Preparations? 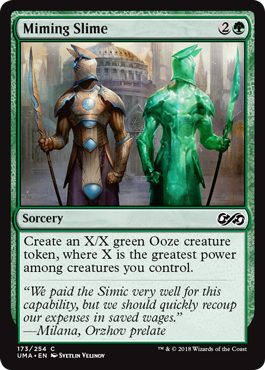 "Sure," you say, "those are cool and all, but Foil whetted my appetite for some Pauper additions. 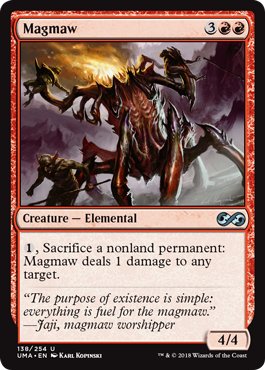 That card seems absurd in the format. Surely that's not all you've got." 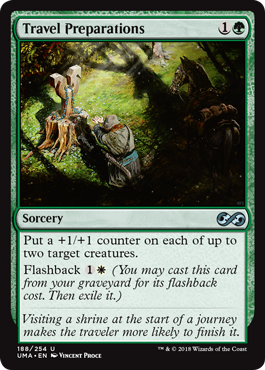 They probably won't bend the format on their ear like Foil will (or foil Foils, if you're fancy), but getting this many new toys all at once has surely got to shake things up. And even if it somehow doesn't, it will be enjoyable giggling a little bit every time you crack a foil Foil, now very much easier to find.